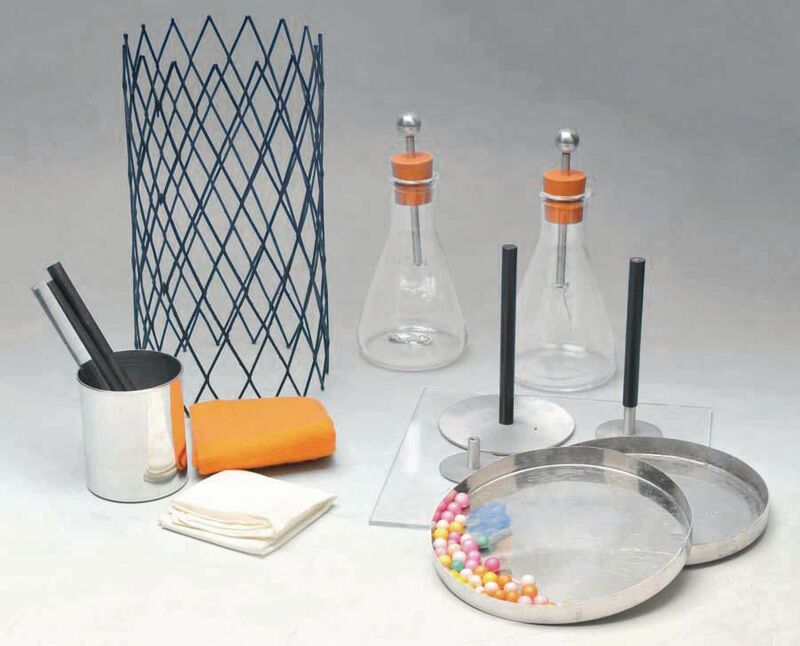 This complete set of materials makes possible multiple dramatic demonstrations of basic electrostatic principles. 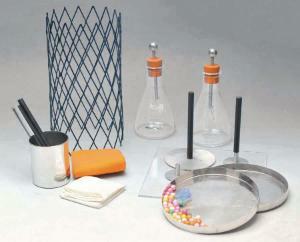 Includes: 2 Electroscopes, Ball and Disc Terminals for Electroscopes, Faraday Cage, Aluminum Tumbler for Ice Pail Experiment, Neon Lamp, Electrophorus with Insulating Handle, Polyethylene Film Charge Transfer Ball 15 mm, Friction Rods, Cork Ball, Pith Balls, Mounted Point for Lightning Rod Effect, acetate Cloth, acrylic Sheet, acrylic, Insulated Base for Faraday Cage, Polyvinyl Chloride, Nylon & Polystyrene, Glass. Ordering information: Includes 2 Electroscopes, Ball and Disc Terminals for Electroscopes, Faraday Cage, Aluminum Tumbler for Ice Pail Experiment, Neon Lamp, Electrophorus with Insulating Handle, Polyethylene Film Charge Transfer Ball 15 mm, Friction Rods, Cork Ball, Pith Balls, Mounted Point for Lightning Rod Effect, acetate Cloth, acrylic Sheet, acrylic, Insulated Base for Faraday Cage, Polyvinyl Chloride, Nylon and Polystyrene, Glass.